A full year after the demonetization was announced, we take a quick look at what has become better, what's suffering, and what leaders think of the same. After an initial increase in the volume and quantity of digital transactions, the activity has fallen, especially in this year, indicating the inclination towards cash, according to this report. The policies that followed, with an aim to that encourage digital activity, and discourage the use of cash have not really made the desired impact. Arguably, jobs suffered the worst setback, due to the entire exercise. While reports on the impact of jobs have been pouring in for months, a recent report says that 1.5 million jobs were lost between January and April of 2017. While it is impossible to assess with precision the impact on the unorganised sector, one can assume the same must have been detrimental. Growth will definitely bounce in, if not immediately but in the long term with Demonetization. There will be more transparency in the use of electronic payments. So, if the demand is more for such services the supply will also have an effect. In sectors like banking, retail, and internet business new jobs will require skill sets that have technical expertise, softwares that run multiple online transactions. So, your employment will be niche with a new type of jobs pumping in. I feel strongly that Short terms shocks are needed for long-term investments," said Pankaj Bansal, CEO at PeopleStrong. Touted as the biggest motivator for initiating the entire exercise, it is difficult to gauge the current status of the same. Since the conversion of accounted and unaccounted money is a continuous process, all the step could have done was halt it for some time, not eradicate it completely. 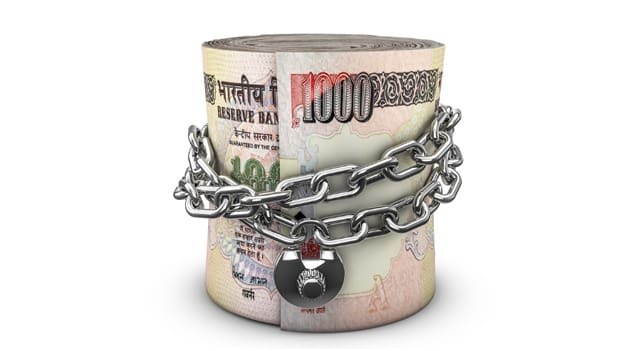 Furthermore, the return of nearly 99% of the cash to the banking systems is indicative of either of the two things: either there was no black money to begin with, or it found its way back through one channel or another. Another reason why the entire old currency was flushed out of the system was due to counterfeit notes used to fund illegal activities. After registering a dip in the number of fake notes initially, recent reports suggest that ‘high quality’ counterfeit notes are back in the market. Furthermore, recurring reports of ATM machines dispensing fake currency notes fuelled unnecessary confusion. The poorer metallic cousin, the 10-rupee coin, too fell prey to the rumours. Arguably the biggest gainer in the process, more people are now under the tax radar and evasion has become harder and more punitive. The entire exercise has managed to disrupt the way people handle cash, and how much ‘willing’ they are to comply with taxation policies. No matter how much international publications debated the outcome of the entire exercise, Modi established himself as committed towards ‘change’ in the eyes of leading global institutes like World Bank, IMF and European Commission, and has, undoubtedly, put in India on the global map as a serious business ally for those willing to invest. The short-term and early gains of the entire exercise seem a little lacklustre, if compared to the agony that over a billion people endured, but as the economy begins to pick up pace, one can hope that the step will bring undeniable benefits of a larger degree in the future. A lot depends on how the legacy of the entire policy is carried forward, not politically, but economically. For example, the surge in digital transactions could not be sustained as remonetisation unfolded, and creating processes and policies to uphold the momentum were of critical importance. How did TCS overcome Modi’s bolt from the blue? What are companies doing to fight demonetization crisis? NEXT STORY: HR technology is moving to "People Software"